Frank grew up in the small coastal town of Ulladulla, 250km south of Sydney. He lived with his uncle, Hope Bartlett, a significant racing driver and pro golfer at the time. Bartlett encouraged Frank’s interest in all things mechanical and when he showed an aptitude for racing at 17, guided him in his early exploits. 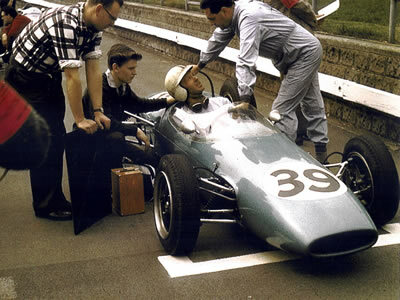 Young Frank Gardner felt confident enough to launch himself into European racing in 1958. He won a good reputation after his first few outings, and in 1962 joined David Hobbs in his Lotus Elite at Le Mans, finishing eighth outright and also winning the Index of Thermal Efficiency. 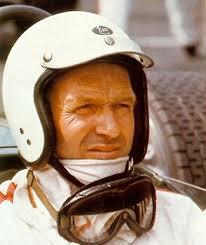 In 1965 he had his first F1 drive, in a Brabham-BRM. Then he joined Jack Brabham’s new enterprise, and built, and raced the Brabham Formula Junior team cars. 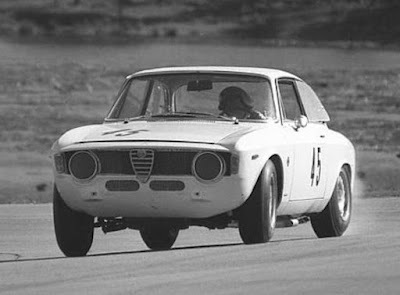 In 1966 he joined Alan Mann Racing, competing in a Ford GT40, Lotus Cortina and Ford Falcon. 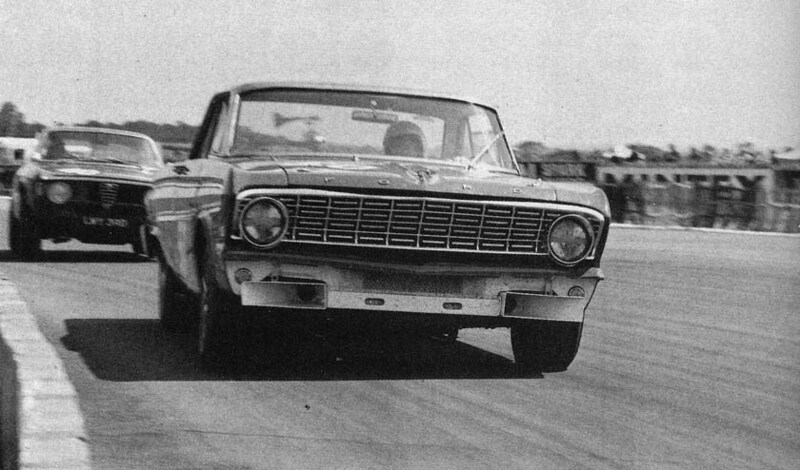 In 1967 he won the British Saloon Car Championship in an Alan Mann Ford Falcon. 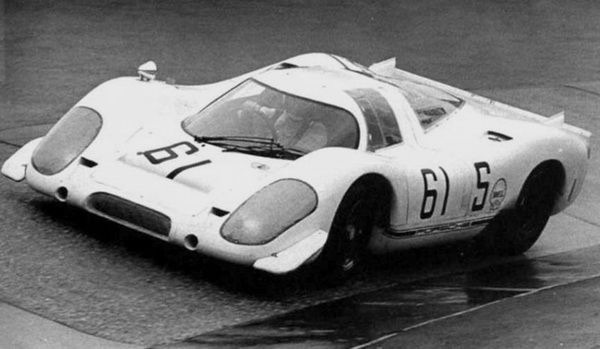 Frank only once admitted to being scared, and that was after he was contacted by Porsche’s Huschke von Hanstein in 1969, to help develop the new 917. "One day the phone rang. 'Hello Frank, this is Huschke (Porsche's motor sport boss). We would like you to drive our new car at the Nurburgring.' I said that I was busy and recommended Brian Redman. 'Brian Redman has had a crash and is in hospital,' came the reply. Jo Siffert was my next helpful suggestion. "Jo has had a crash and is in hospital." Frank said: 'What the bloody hell's going on over there?' Huschke replied, 'Our new car is not so easy to drive!' He wasn't kidding." In actuality, Zuffenhausen's contracted drivers just plain refused to drive this unsorted car. "I went over with David Piper. He did one lap, came in and said that he was too young to die! It had no power below 5000 rpm, but over the next 1500 rpm you found another 350 bhp. I drove it like that throughout the Nurburgring 1000 Kilometres. It poured down all the way through the race, and it was snapping sideways and aquaplaning all over the place. It was bloody dangerous. I guess it was one of the few times that I was really scared. " 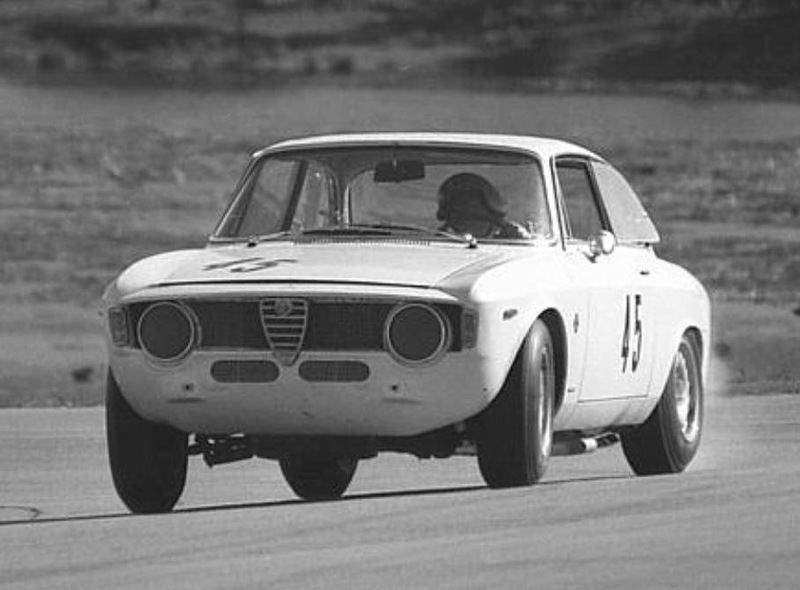 Also, in the late 1960s and 70s Frank competed in the Tasman Series, in a variety of open wheelers, and also managed a race team for patron Alec Mildren – who gave an aspiring young Kevin Bartlett a start in a very quick Alfa Romeo GTA, developed and prepared by Frank Gardner. In 1977 he decided to return to Australia permanently. 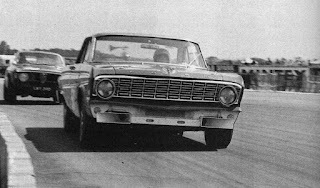 That same year he won the Australian Sports Sedan Championship driving his highly-modified Chevrolet Corvair. Frank continued to race, up until 1983 when he turned fulltime to race engineering and team management. 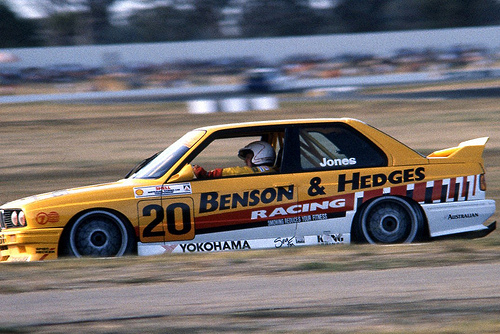 Then began a famous period managing the Team JPS BMW team with drivers Jim Richards and Tony Longhurst. Following BMW's decision to switch team management, Gardner joined driver Tony Longhurst’s own team. 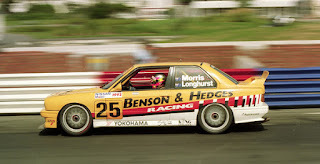 They finally beat the mountain in 1988 with a decisive win with Longhurst’s Ford Sierra, co-driven with Tomas Mezera. 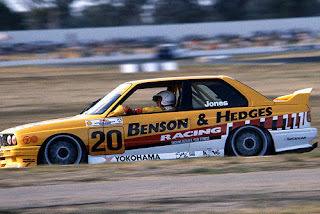 BMW returned to Australian racing in 1991 with a BMW E3, managed by Frank Gardner and driven by Longhurst, and 1980 F1 World Champion Alan Jones in the second team car. 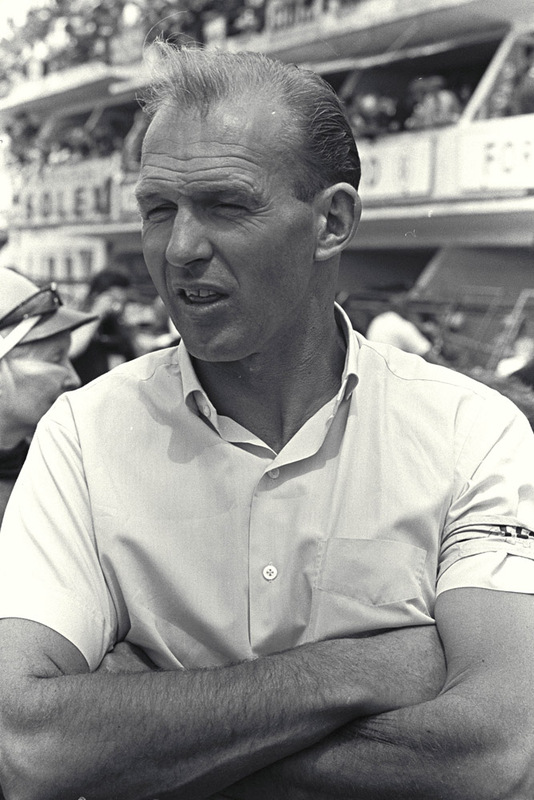 Throughout his racing career in Europe, Gardner became known as a solid and reliable driver, especially in long distance races. He was valued for his maturity and skill; but in addition he also became famous for his engineering and design talents. He worked alongside both Jack Brabham, and Eric Broadley at Lola, developing and refining open wheeler race cars for all formulae. Frank Gardner can easily be described as a quiet achiever, and a giant in the motor racing world. He eschewed the fuss and bother that went with fame, but nonetheless every person he touched during his career remembers him with fondness and respect. Frank Gardner died in 2009. Great article to read. I was checking constantly this weblog and I am impressed! Can you publish a detailed article about Ford Cortina? I will wait for your reply.